I have been reading a little over Summer and felt humbled by reading “Joni” and “Joni & Ken” again. Both books are by Joni Eareckson, an American christian women who sustained a spinal injury as a 17 year old in 1967. She has been living with quadriplegia for almost 40 years. I read the book “Joni” as a teenager and it had a huge impact on my faith. 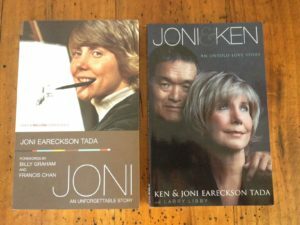 They are my “go to” books for reflecting on life as a quadriplegic and as the spouse of a quadriplegic (Ken and Joni have been married for 30 years now). I’ve used that quote in a blog before. But, this week I was struck by how good the words are in the context of the new year. 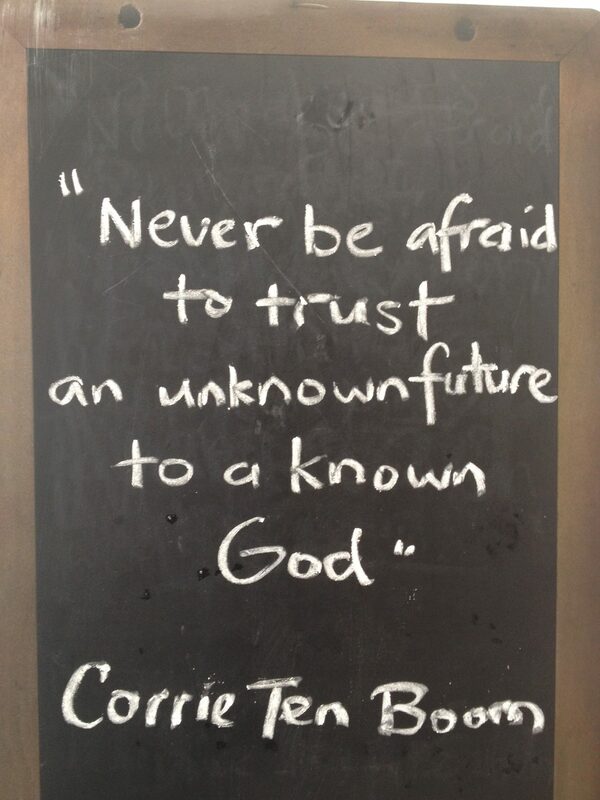 I feel challenged to hand my year and life to my Creator yet again and trust him, even though it’s hard. 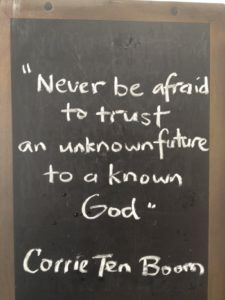 In doing so, I hope I can embrace the one fear that the bible supports, the fear of God – the fear of God meaning, to trust and respect His “bigness”. 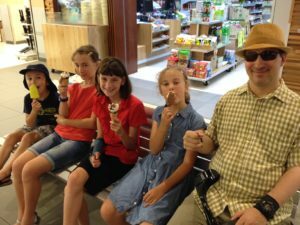 Part of an “Ice Cream Crawl” on a 40 degree day this week. Thank God for Ariel’s safety while he worked in Sydney when I took the kids to my family’s gathering in Bega after Christmas (and thanks for all the extra nurse hours needed for that to happen). Thank you to my family who help when I single-parent on holidays away. Pray for the year ahead, for Ariel’s strength in work, play, preaching and the everydayness of life. Pray for the kids as they transition into a new school year with new teachers – it’s often tricky for them. Pray for me to have the discipline to keep handing my family and future to our great God.